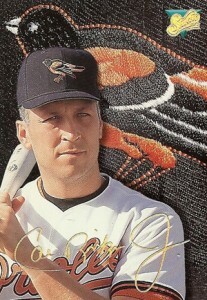 The 1990s brought about tremendous changes in the hobby. It began with a boom and deflated quickly. When the decade ended, the baseball card landscape looked almost nothing like it had when Topps, Upper Deck, Donruss, Score and Fleer were all making just one or two mainstream sets per year. Although the collecting base shrank, the number of sets exploded. Some of these did very well. Others, like cards in a can, not so much. Some sets have undeservedly shrunken into obscurity. While they might not be worth much today, here are five great sets you might have forgotten about (or not heard of in the first place). 1991 Topps Baseball was the company's 40th. Base cards include a special anniversary logo on the front and the back. Some hobby boxes also included buybacks of original Topps cards. 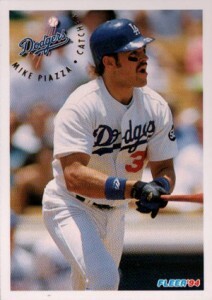 But the reason why 1991 Topps stands out today is the photography. Most of the set has the generic type pictures collectors expect. However, there are also several gems that are simply amazing. Take Carlton Fisk. The card captures an entire story with its single shot. The Hall of Famer is ready to receive the ball at the plate as Detroit's Cecil Fielder barrels down the third base line. In the background, one of Fielder's teammates is barking at him with his arms raised. As far as baseball card photos go, it's perfect. 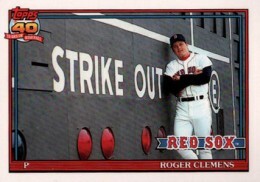 1991 Topps Baseball also has several excellent posed shots as well, such as Roger Clemens standing in front of the Fenway scoreboard. An overhead shot of Benito Santiago gives the collector the baseball's point of view. The Studio brand has always been known for its portrait photography -- at least until 1995 when Donruss overhauled everything and made them into something that resembled a credit card. When Studio debuted in 1991, the set was respected for being something different. But the black and white photos and strange poses have kept the set from gaining a widespread following. The followup in 1992 was, well, boring. 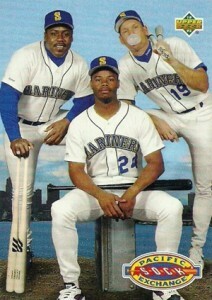 However, 1993 Studio Baseball is one of the decade's nicest sets. Printed on a glossier card stock, the 1993 Studio Baseball design looks a lot more modern than its predecessors. Player portraits are now in full color. They are superimposed against a backdrop that shows a tightly cropped hat or jersey logo. The backgrounds are extremely sharp, with the patch threads and stitches adding a lot to the overall look. Card fronts also have a foil Studio logo and facsimile signature. The major drawback of of 1993 Studio baseball is the checklist. It has just one rookie: Mike Lansing. However, for those looking for beautiful cards of the era's best, complete sets can often be found for under $10. 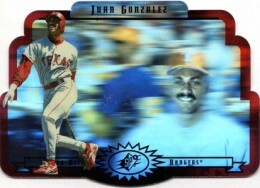 1993 Upper Deck Baseball is another set that features stellar photography. 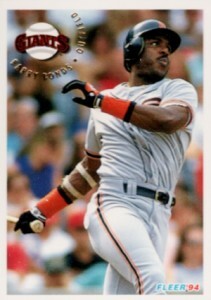 However, unlike 1991 Topps Baseball, its glossy stock gives it a more high-end feel. With a second photo on the back and a massive 840-card checklist, there's a lot to pour through. With that comes a lot of different subsets and team cards too. If nothing else, 1993 Upper Deck Baseball evokes a good sense of fun. Card fronts are dominated by the action shot. The borders and key player information have very little real estate. Even the Upper Deck name is pushed to the background. The set's key rookie is Derek Jeter. 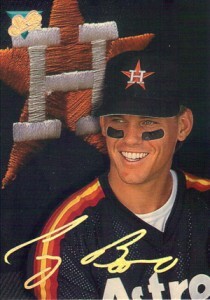 1994 Fleer Baseball finds beauty in simplicity. Despite squeezing a team logo, player name and position onto card fronts, the set still has room for strong action photos.1994 Fleer Baseball ditches the traditional nameplate and floats all the vitals in a top corner. Demonstrating the importance of good cropping, the player photo remains the focal point. The information is easily found but still out of the way. Today, collectors see lots of busy designs that don't accomplish much. 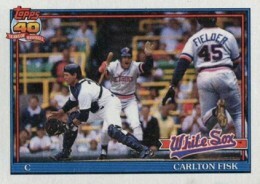 1994 Fleer Baseball is the opposite, blending both traditional and modern sensibilities perfectly. When 1996 SPx Baseball first came out, packs were around $5 and they came with just one card and little chance at anything fancy. Of course, when every card is like a high-end insert from the day, it's tough to get any fancier. 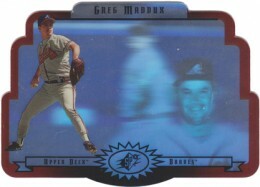 All 60 cards in the 1996 SPx set are die-cut holograms, no doubt an offshoot from the popular Holoview and Special F/X inserts found in 1994 and 1995 SP. As far as base cards go, these are some of the coolest, albeit gimmicky. A player photo is on the front. Behind is a massive holographic background that has two more player images. There's a player head shot in the foreground that often rotates a little as you tilt the card. Some players even wink or crack a smile. Behind that is another action hologram, although it has no movement. On top of that, all the cards come die cut. Today, 1996 SPx Baseball is readily available. With enough looking, complete sets can be found for less than what a handful of packs cost when it was first released. 1991 topps desert shield **COMPLETE SET*** 1-792. 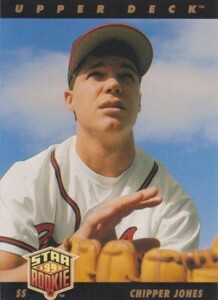 GRADED Chipper Jones. 1991 Topps is definitely an all-time favorite.